I have a wide range of experience across many computing disciplines from embedded systems to enterprise storage, networking, virtualization and web and cloud architectures. Part of my career has been in the role of hardware and software engineer, developing microprocessor-based systems such as electronic instruments and kiosks. More recently my experience has been in the role of Sr. Solutions Architect working with customers helping them with requirements analysis, systems architecture, design, implementations, deployment and training. I'm one course away from completing my Masters in Computer Science from Georgia Tech with a specialization in Machine Learning. Technical Account Manager. Responsible for building and maintaining long-term relationships with several of Panzura's large and strategic customers. Using in-depth knowledge of Panzura's product line plus other key technologies (virtualization, networking), I help our customers with their cloud architectures, deployments, operations and performance/capacity planning. As a trusted advisor to our customer's executive and IT staff, I provide a single point of contact for providing technical guidance on architectures, current and new products and managing product issues. I'm also responsible for channels of communications between our customers and Panzura technical support, engineering, product marketing and executive staff. Director of Software Development. BrightApp designed and developed software solutions for customers across several verticals including security, education, insurance, warehouse and fulfillment, electronic instruments and others. Languages and environments included Java, C#, Visual Basic, PHP and ASP and also embedded environments including real-time operating systems and processors from Freescale and Texas Instruments. Technology developed by BrightApp lead them to be selected as a finalist for the BizTech Innovation Summit. Sr. Systems Developer. Development of embedded firmware for JTAG embedded debugger probe. Developed hardware probe (based on PowerPC 860) and embedded software including command line interface, communication components including ethernet, serial, flash memory and I2C drivers. Implemented using GNU C cross compiler/assembler tools and ThreadX/NetX RTOS on a PowerPC 860 processor. Developed extensive documentation. Sr. Software Developer. Development of embedded firmware for commercial electronic instruments including the CMS-3 and Gapman, capacitive (non-contact) instruments to measure hole diameters and gap spacing. Ported FreeRTOS and developed custom operating system, command line interface, serial, flash memory and I2C drivers for Motorola 68302 and Texas Insruments 430 microprocessors.. Developed corresponding Microsoft Windows applications for use with the instruments to provide automated measurement and acquisition. Sr. Software Developer. 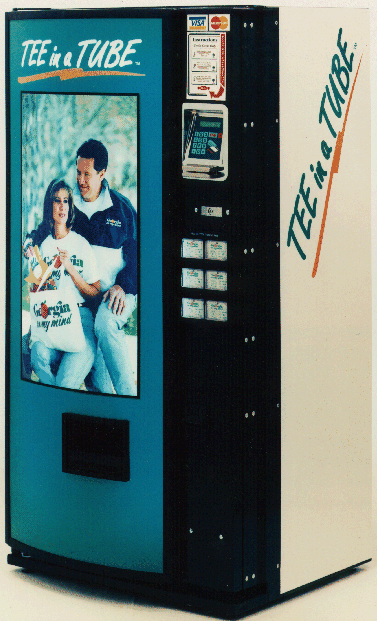 Developed complete kiosk for selling t-shirts out of a vending machine. Designed hardware and software including front panel display and keypad, credit card reader, receipt printer and serial (modem) communications for communications with credit card clearning house (FirstData) for credit card processing. Developed Microsoft Windows software to regularly poll (via modem) each vending machine to automate the inventory, order and transaction history. Consultant. Provided system and software design for automated test and measurement of vending equipment and supplies used by Coca-Cola. We gathered multiple metrics to make sure the equipment and supplies met Coca-Cola's stringent requirements for proper operation, durability, and repeatability. Developed extensive windowing system on HP terminals using curses library. Sr. Development Engineer. Developed hardware and software debug tools for use with HP logic analyzers for the real-time analysis of microprocessor buses including IBM Micro Channel (MCA). These tools were used in conjunction with logic analyzers to capture, analyze and debug bus transactions. IP was sold to FuturePlus Systems. Senior Systems Engineer. Responsible for pre-sales and post-sales support. Strong emphasis on embedded software development including in-depth software trace and performance analysis using logic analyzers. Also responsible for Computer-Aided Software Engineering (CASE) tools using formal methods (Yourdon-DeMarco, UML) software analysis and design. Senior Systems Engineer. Responsible for pre-sales and post-sales support. Focused on microprocessor development tools including the HP64000 Logic Analysis System, traditional in-circuit emulators, trace analyzers, logic analyzers, and digital oscilloscopes. Worked closely with customers using these tools in embedded systems designs. Test Engineer responsible for hardware and software design of automated launch sequencer for the RL-10 rocket engine using PDP-11A. Extensive assembly language programming including virtual memory techniques for processing large data sets. System had multiple interfaces with external actuators and sensors. Student Intern. Printed circuit board layout for millimeter wave acquisition system used by NOAA for atmospheric research. Copyright © 2019, R. Ashley Miller. Theme by Devsaran.